Hello everyone, today my name is Larissa from the blog Car-d-elicious and I am from the Netherlands. Today I am guestdesigning at Gerda Steiner designs. 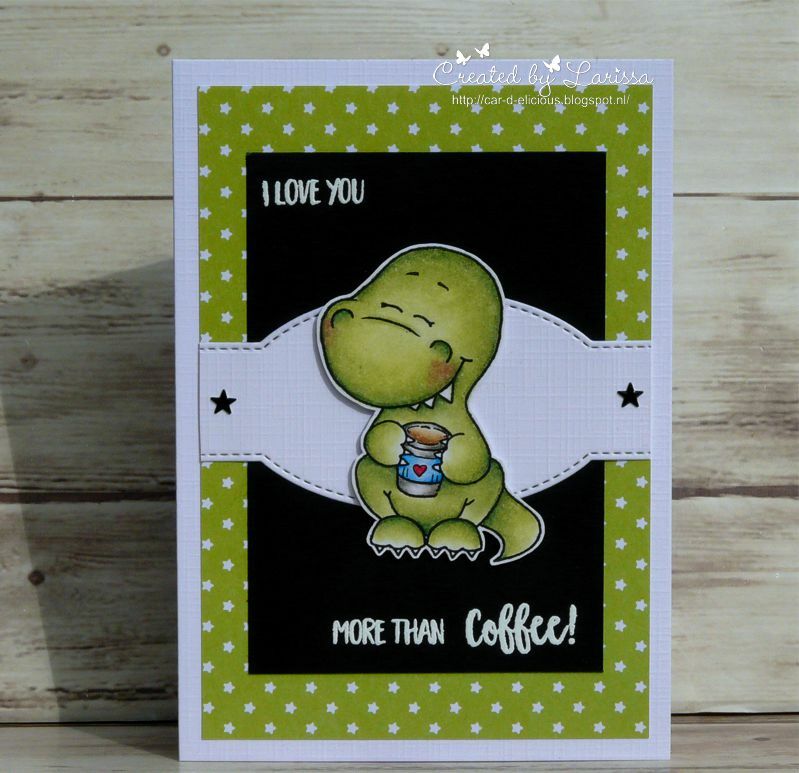 I have made 2 cards with a cute coffee drinking dinosaur. On the first card I have coloured the Coffeesaurus from Gerda Steiner designs with my Polychromos pencils and then I fussy cut the image. 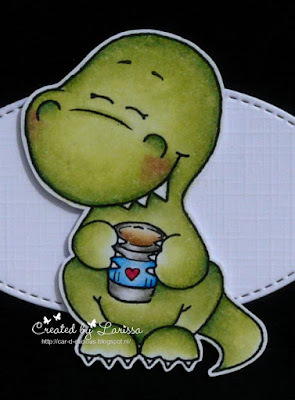 On a white card I adhered a piece of green star design paper from the Lucky prints paper pack from My favorite things. I have cut a rectangle from black cardstock and stamped sentiments from the stampset on it with Versamark ink. Then I embossed the sentiments with white embossingpowder. 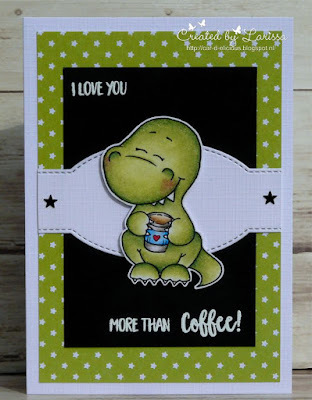 I have cut a label from white cardstock with the Sentiment label strip die-namics from My favorite things and after I adhered the label on the card I adhered the dinosaur on the card. I have decorated the label with black hotfix stars. 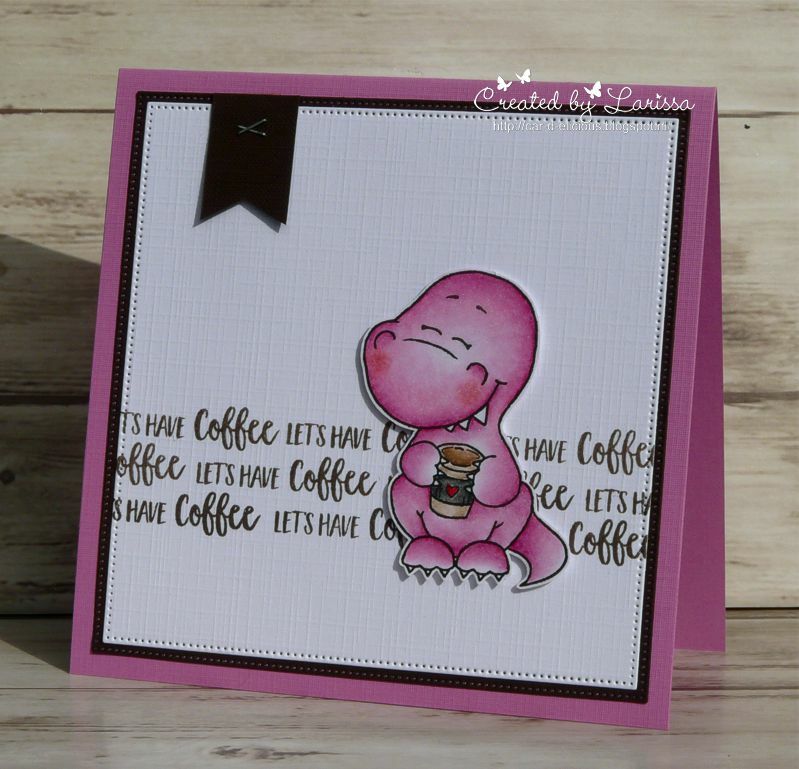 On my second card I decided to colour the dinosaur from the stamp set Coffeesaurus from Gerda Steiner designs in pink with my Polychromos pencils. Again I have fussy cut the image. 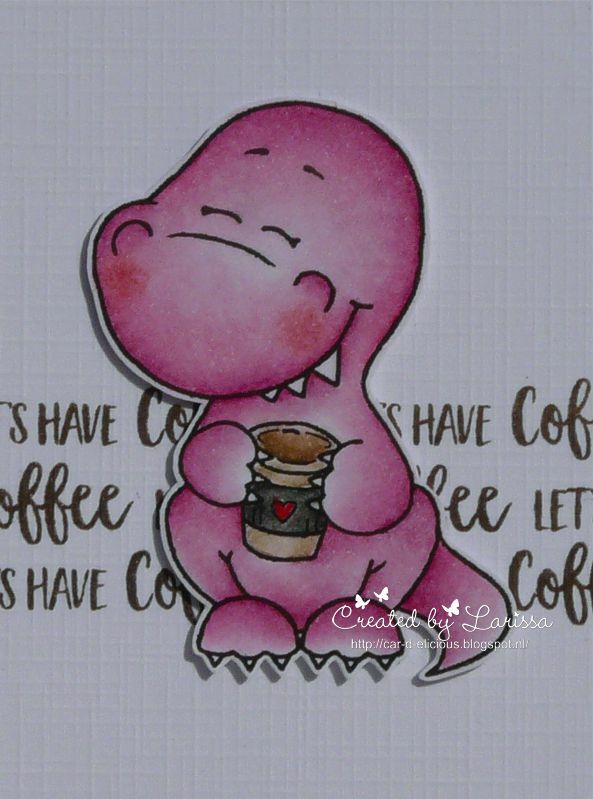 On a piece of white cardstock I stamped a sentiment from the stampset a couple of times with Chocolate brown dye ink from My favorite things. I have cut 2 squares from the white cardstock and also from a piece of dark brown cardstock with the Crea-nest-lies XXL 42 and 50 from Crealies. 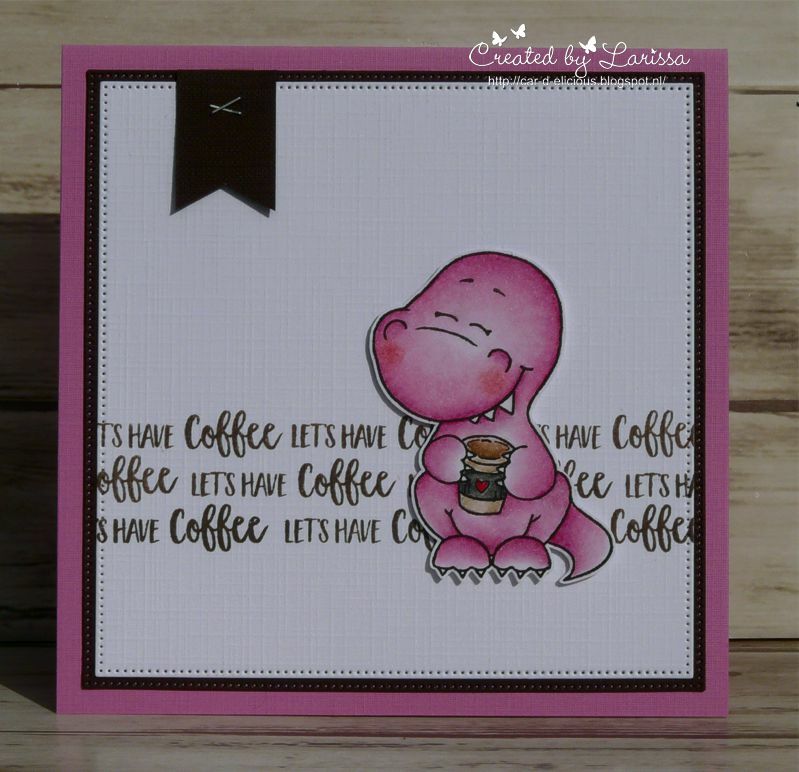 I have adhered the squares on top of each other and then I cut a little label from the darkbrown cardstock. I have attached the label with the Tiny attacher from Tim Holtz onto the squares. Then I adhered the squares on a pink card. I adhered the dinosaur with foamtape on the card.